Editors’ Note: Apparently many people were unable to access the actual app page on the Apple App Store when we released this app. It worked on some computers and not on others. Here is the direct link to the App store: Click here. You all know that National Geographic does something spectacular to make the people and places of the world come alive and bring them right into your home though their online magazine. At a touch, you can see movies, browse stunning photos and interact with every page in ways that print just can’t make happen. Exploding on the screen are textures, people, unforgettable scenes. You are there in exotic locations all over the world. Now, we have done something spectacular with the life of Joseph Smith. 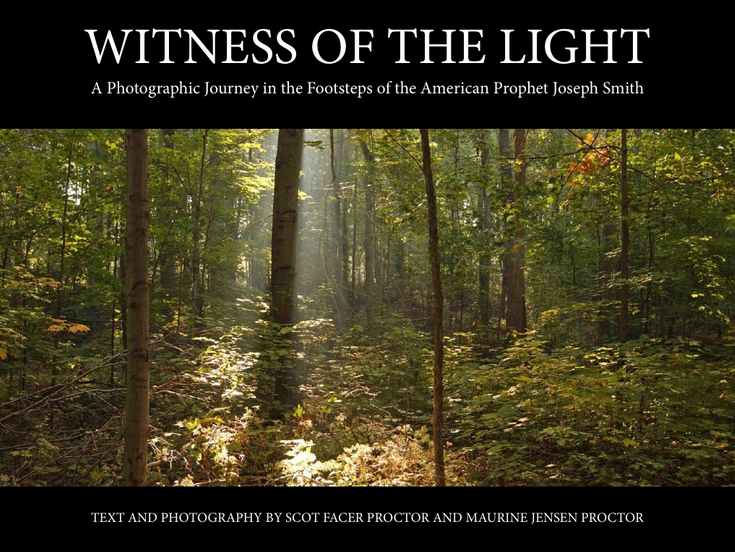 Witness of the Light: In the Footsteps of Joseph Smith takes you to the radiant and challenging world the prophet knew. With more than 230 inspiring photographs that enlarge at a touch, videos, and a written narrative, you will take an intimate journey with Joseph Smith from Sharon where he was born, to Carthage where he was brutally killed. This is an utterly unique experience that only new electronic formats make possible. It is a ground-breaking event in the LDS publishing world, as nothing quite like this has ever been created before. With the swipe of your finger you’ll be able to walk through the Sacred Grove, be in the room where the Church was organized, see the kind of tools that were used to construct the Kirtland Temple or be a witness to the Carthage Jail. You’ll see the sacred sites from Church History in the various seasons of the year. You’ll see the actual medical bag that was used by Dr. Nathan Smith when he came to operate on seven-year-old Joseph Smith’s leg. Zoom in with your fingers to see more closely the things that were in his saddlebag. Would you like to go to a page right now that is just designed to show off this new app? Click here and explore what we are offering. And, we’ve done something amazing. The value of such as app is between $20 and $30. We’re offering it for just $8.99. Here’s why. We love Joseph Smith and the spiritual legacy he left us. On the Internet and in media, Joseph Smith is assailed, attacked and maligned in untold hundreds of websites. We made this app so affordable because we simply want everyone to have this app, walk in his footsteps and know Joseph better. Come and see the app now. You’ll see the panoramic view of the Restoration. You’ll read stories you have heard before, placed in context, but you’ll hear many stories you’ve never heard before that will thrill you as you come to understand your own heritage. You’ll be able to see actual photographs of some of the earliest converts to the Church. On your iPad you’ll be able to tap on any of those pictures with your finger and you’ll enlarge them and then you can zoom in on these high-resolution images. You’ll see, for example, some gorgeous photographs of the Nauvoo Temple (like the page above). In the app you can tap on any image and it will expand full size then you can zoom in from there if you desire. Wherever you tap on the enlarged picture, it will zoom towards that point. I know you want to get to the site where you can look at the app in more detail and then buy it (for only $8.99). Look at the page displayed above. That is the courtroom where Joseph Smith was put on trial in Springfield, Illinois. Do you see the trap door in the ceiling about the judge’s seat? There was a young attorney whose office was upstairs above this courtroom. He used to open that trap door and observe the proceedings of the court. This young attorney would later become the President of the United States—Abraham Lincoln! These are the kinds of details you will see and experience in this new app for your iPad. Why did we create this App? We’ve been studying and following the life of the Prophet Joseph Smith in great detail for the past 40 years. 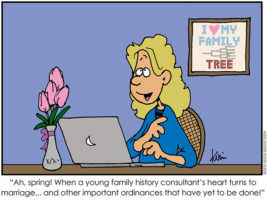 In this generation the Internet has been invented and Joseph Smith is being slandered and misunderstood and maligned on thousands of websites. We are offering this app (at a very cheap price of $8.99) to weigh heavily on the side of the scale that tips in favor of Joseph Smith. It is our witness to the world (Witness of the Light) that Joseph Smith is a Prophet of God and he was the instrument in the hands of God to bring back His Gospel and His Church on the earth. Please share this with every one you know. Give it as a Christmas gift, a birthday gift, a home-teacher gift, a neighbor gift, an extended family gift. Encourage others to share it. We want this to go far and wide. Click here to go the page where you can see many of the features of the app. Skip the splash page site and click here to go right to the Apple App Store to buy this for your iPad. 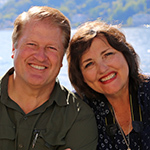 Dear Patricia, We are working on finishing the new electronic version of Elder Talmage's Jesus the Christ and when that is finished, we will go back and produce the Android version of Witness. If I had a huge technical and design staff I would have done both versions to begin with! So, we are looking at a time line within the next year. Thanks for your patience. When will this app come out in android format? I have been waiting for months for some word about it.